Think about it – do you eat a healthy, wholesome breakfast? Marketed as “wholesome”, “heart healthy” and making “smart choices easy”, the Quaker Oats company has its heart rooted in cholesterol which is finely masked with a happy ‘hearty’ Quaker in his field of corn and oats. In 2010 some savvy Californian guys filed a class action lawsuit when they realised their ‘healthy’ products contained crazy amounts of trans fat. Some of the products which came under fire in particular were Quaker’s Chewy Granola Bars, Instant Oatmeal, and Oatmeal to Go Bars. Now think – what do these three Quaker products have in common? Now that’s where their heart lies. Not in health, but making sure you get optimum numbers of calories, primarily sugar and fat, passing your lips in as timely nature as possible (or just so you don’t realise what you’re doing as you do it!). 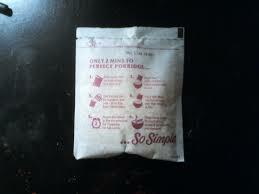 Quaker Cuppa Porridge Oatmeal – only 72% oats and the rest if sugar and milk powder. This could easily be 100% oats if it wasn’t made for a quick ‘ADD HOT WATER TO ME’ method of eating. Oat So Simple pots – ‘so simple’ because they are so damned bad for you. Only 70% of oats go into these pots, the rest are once again sugar and milk powder. Quaker Oats Crunchy Bars – this time only 58% oats, the rest being sugar, sunflower oil, glucose syrup and molasses to hold the insipid thing together. Convenient? Yes. Heart healthy? Not a chance. And you might not even notice how bad these are for you, not just because of how quickly you’re forced to consume them (you’re on the go, you’re rushing about) but because of how little you are offered as a single serving. What would usually be considered healthy and filling, Quaker makes small, unnourishing and damning. Just think about their ‘convenient’ oat sachets which, at only 27g per sachet, is not even to warrant a fully-fledged breakfast. When it comes to morning eating, it really is important as your body has been deprived of energy for 8-12 hours. Ideally, first thing in the morning you should be eating around 350-500 calories (recommended by Columbia University) or around 25% of your total calories you’d eat for the whole day. The real problem lies in under-eating at breakfast time… as Columbia University further point out that, if you eat fewer than 350 calories your energy levels won’t meet their recommended heights for early rising and your metabolism which should carry you through to the next meal will be tampered with. So, back to Quaker Oats’ porridge sachets… at only 27g they have only 1g of oats and 13g sugar. So not only are you getting very few calories, but you’re also getting empty, easily disposed of calories which will make you more hungry – and reaching for a quick convenience snack food for elevenses. Bruce Bradley lovingly draws upon how much sugar this really is in his revealing post about Quaker – did you know that the 13g of added sugar in a ‘heart healthy’ porridge sachet is actually more than in a serving of Cap’n Crunch (also owned by Quaker)? 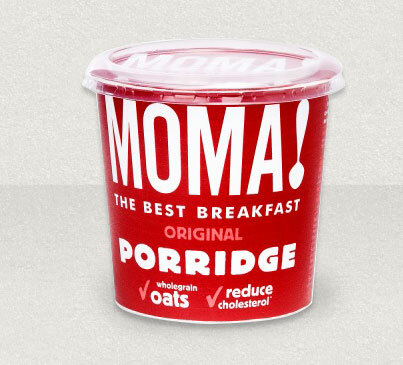 Moma Foods have a whole host of healthy porridges available both in big packs and convenient tubs for you to carry on-the-go. They also have some lovely muesli and, my personal favourite, breakfast smoothies which Moma Foods pack full of oat fibre and low-fat yoghurt which is the yummiest most filling quick smoothie I’ve ever had! Convenience doesn’t always mean sugar-packed!